Happy Wine Wednesday! We’re in for a treat this week with a guest post from Valerie Quintanilla, one of Italy’s newest expats, living her dream in Piemonte, Italy and sharing her wine tales at GirlsGottaDrink. 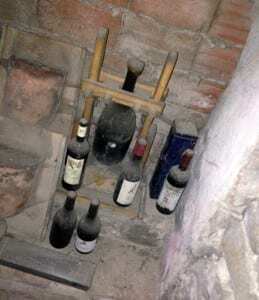 Her recent wine adventures took her along the Piemonte Wine Trail. Sounds amazing…read on to see why. We found the sleepy little village of Neviglie on a lazy Sunday afternoon. We walked the village (in about 10 minutes), toured a B&B, then did a Barbaresco wine tasting. Azienda Agricola del Cavaliere is both a B&B and a wine producer. It features three beautiful rooms with breathtaking views and a garden with plenty of places to relax. Winemaker and owner Sergio Ternavasio was our host for the Barbesco wine tasting. I love that about exploring Piemonte, especially at the super small places. We get to me the guys in charge and really learn the winery’s history and philosophy. It’s not at all abnormal in Piemonte since so many producers are small. Azienda Agricola del Cavaliere produces six wines: Moscato d’Asti, Langhe Arneis, Dolcetto d’Alba, Barbera d’Alba, Langhe Nebbiolo and Barbaresco. We did a Moscato and Barbaresco wine tasting. 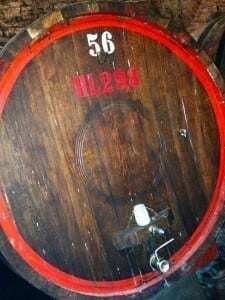 The Barbaresco was very traditional in style – it’s done in large bottis (Slovenian oak) as opposed to small, french barriques. I kept smacking my mouth, the tannin was so noticeable. In my adventures with nebbiolo I’m used to Barolos showing heavier tanins while Barbarescos tend to be more silky and approachable. 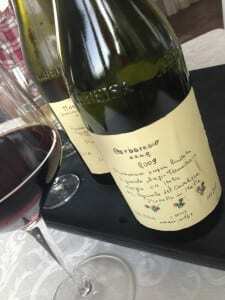 Not this Barbaresco! It had some umph. As for the Moscato, we learned that Sergio’ss grandfather was the first to produce Mascoto d’Asti in the region some 45 years ago. 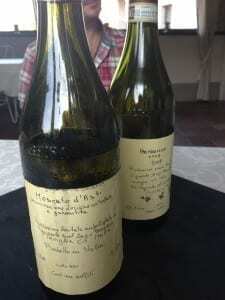 It was a beautiful wine with notes of lemon meringue on the nose and the palate. I’m a sucker for Moscato – sweet and bubbley, how can you go wrong!? Sergio gave us tour of the barrel room after the tasting. He explained they really only sell privately, around the region, to folks like us, guests at the B&B, and to Switzerland. Production is very small at about 20k bottles annually. The wines were reasonably priced, from 4.50 to 20 euros a bottle. We took home a Barbaresco, a nebbiolo, and moscato. Old bottles greeted us all around the space. If you are looking for a quite place to stay in Barbaresco, check out Neviglie. It’s not far from the bigger villages and has some incredible views. 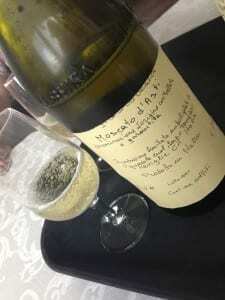 Don’t forget to do a Barbaresco wine tasting (and moscato)! Valerie Quintanilla is one of Italy’s newest expats, living her dream in Piemonte. Follow her wine, food, and travel adventures on GirlsGottaDrink, on Twitter @Valeriekq, or on Instagram. My first experience at a vineyard and wine tasting event was in Northern Argentina. It was such a fascinating experience and one I hope to repeat again soon in another country.